What are you looking for in a holiday? 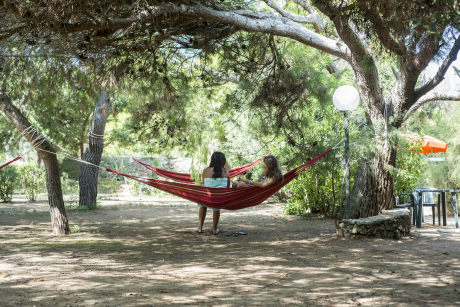 If you want A way to rediscover the authentic contact with nature, if you want to forget the hustle and bustle of the city, if you love to be lulled by the whisper of the waves, if you want to sleep under a roof of stars and let yourself be enchanted by the rays of the moon, we are here for you. If you love the scent of the Mediterranean, the taste of authentic cuisine, the colors and the light of the South, the clear sea, the silvery olive groves, the white cliffs, the endless beaches, the mysterious and fascinating caves, romantic legends and fanciful stories , we are waiting for you. 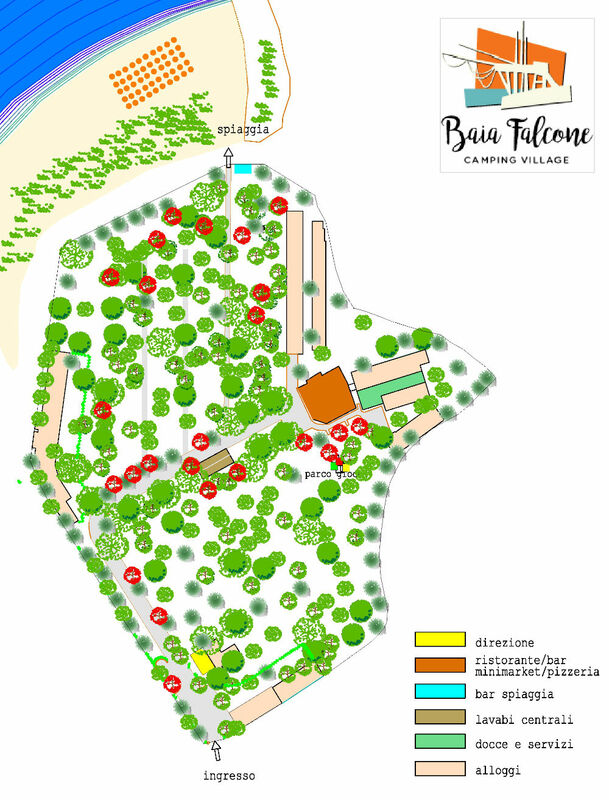 The Falcone family, owner of Camping Village Baia Falcone, has a long tradition in the hospitality industry. 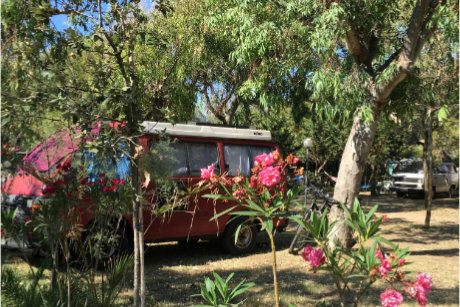 Pioneers in the field of tourism in the Gargano, in the mid-seventies they open this Camping Village in one of the most beautiful bays in the Vieste territory. While it’s still family-run, the guests will appreciate the professionalism and enthusiasm acquired over many years of experience. We are proud on sharing with you the love for our homeland. 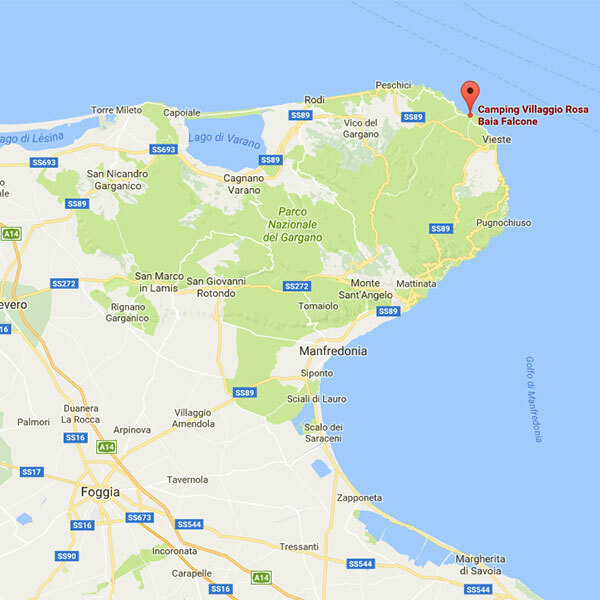 Just 4 km from Vieste, a tourist area considered “the pearl of Gargano”, our village is situated at the Santa Maria di Merino Bay, directly on the Scialmarino beach. 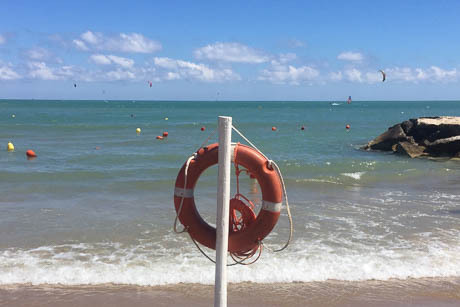 Camping Village Baia Falcone, with its fine sand beachfront, is the perfect place for guests to relax, with its beautiful panorama of the rocky promontory and the Trabucco, a traditional fishing device installed at the far end of the bay. 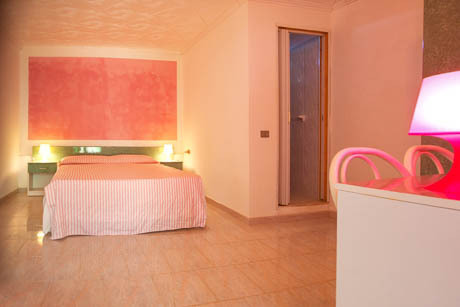 The Village offers to you and your friends the most suitable style for your holiday. 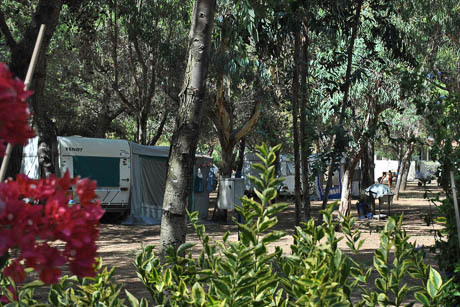 You can choose the classic formula of camping with tent or RV in one of our ample plots, in the shade of eucalyptus or pine trees. You can also pick one of our bungalows, simple but functional. 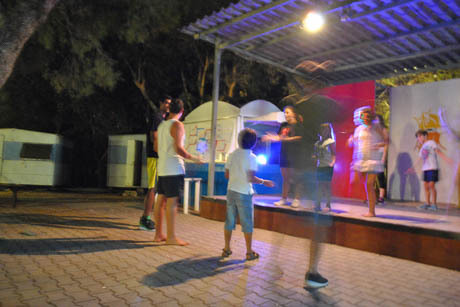 In the Village you will find an array of services: restaurant pizzeria, a mini market to buy basic necessities,a laundromat, the beach bar,a playground for children, a soccer field, a TV room with library. 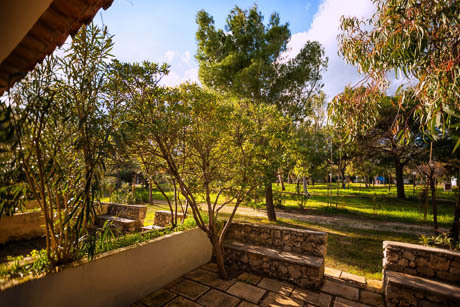 As a Village guest you will be able to share the experience of a vacation in a free informal atmosphere, where nature and environmental conservation becomes a lifestyle. 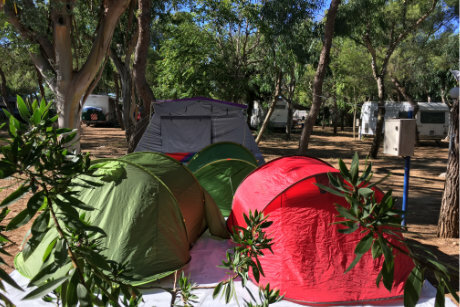 Camping lovers can choose between shady pitches below dense Aleppo pine trees and eucalyptuses, or live inside a caravan with veranda. 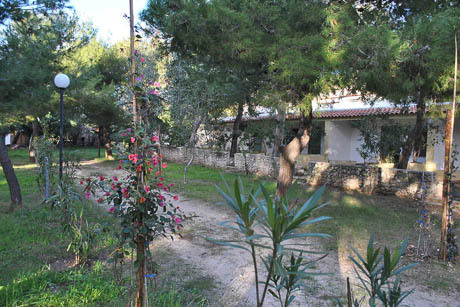 Located in the middle of a pine forest and shaded by them, they are spacious and have available an area with toilets and showers with hot water. They are located in a secluded area below the shade of the eucalyptus trees. They are equipped with 4 beds, a kitchen and a porch. 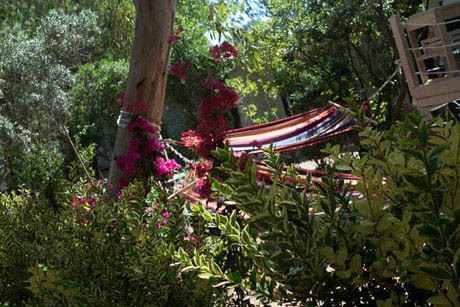 We offer different accomodations totally immersed in the green. If you are looking for comfort, you can choose to stay in our masonry bungalows. Masonry apartments, simple and functional, with patios or gardens. 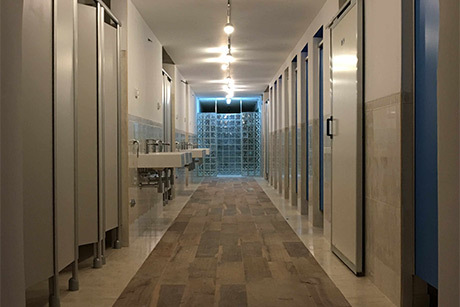 We have various types available, all equipped with kitchenette and a bathroom. 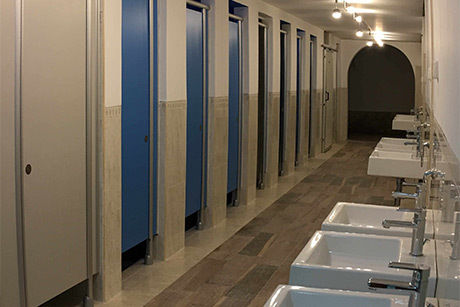 They accommodate two to eight people. 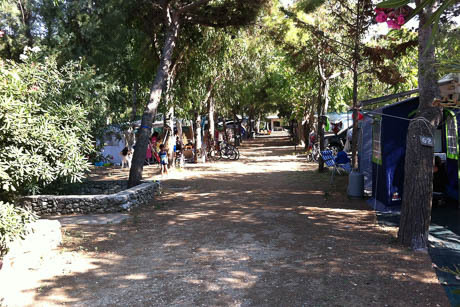 In Camping Village Baia Falcone you can spend your holiday in total relaxation, without using the car. 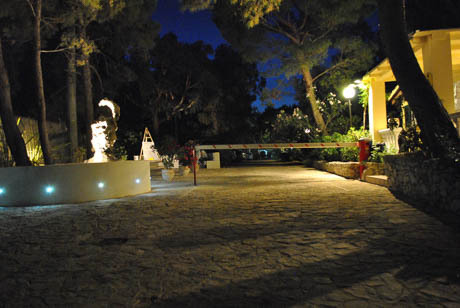 You will find inside of the Village all the facilities: a bar, a restaurant, a pizzeria with a wood-burning oven. 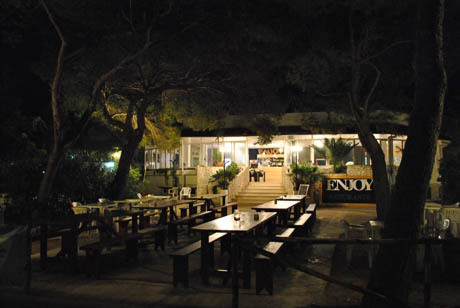 The property also has a bar facing the beach and a mini market. 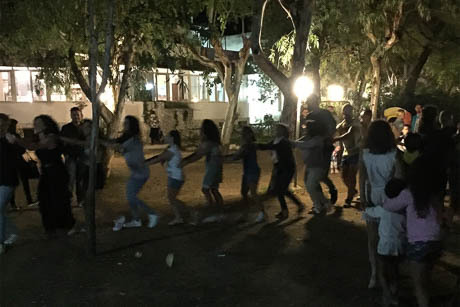 During July and August our entertainment staff entertains children and adults during the day and after dinner, with shows, games and thematic evenings. 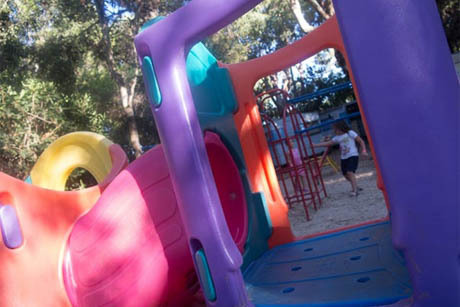 Moms and dads can enjoy their holidays in relax entrusting their children to the mini club staff. You’ll be able to organise small tournaments in the soccer field . Wifi zone and a common TV room are available to you. 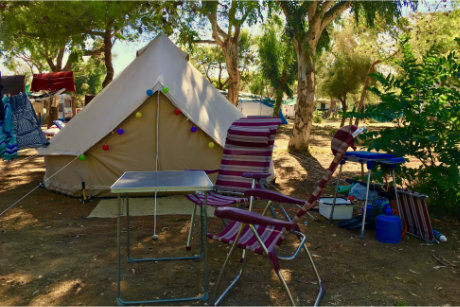 The atmosphere at Camping Village Baia Falcone is of extreme peacefulness and guests are welcomed with the traditional Apulian hospitality. 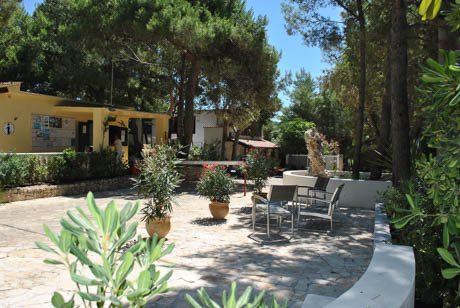 It differs from the rest of the Apulia region for the rich and varied Mediterranean vegetation and forests of beech trees, pines, oaks and ancient olive trees. It is the ideal place for nature lovers, who can explore by foot or mountain bike one of the most interesting Italian areas, in terms of flora, fauna, landscape and archaeology. 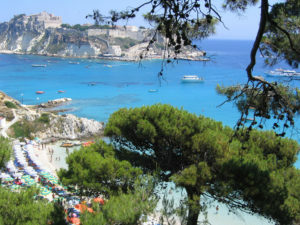 Vieste is located in the tip of the “Spur of Italy”, along the Adriatic coast, in the heart of the Gargano National Park. 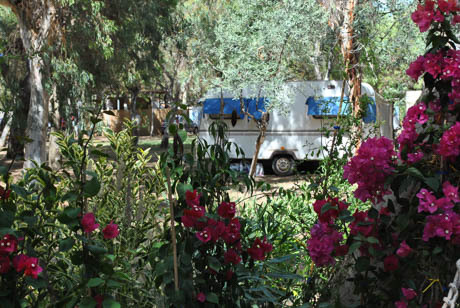 Camping Village is located on Provincial Road No. 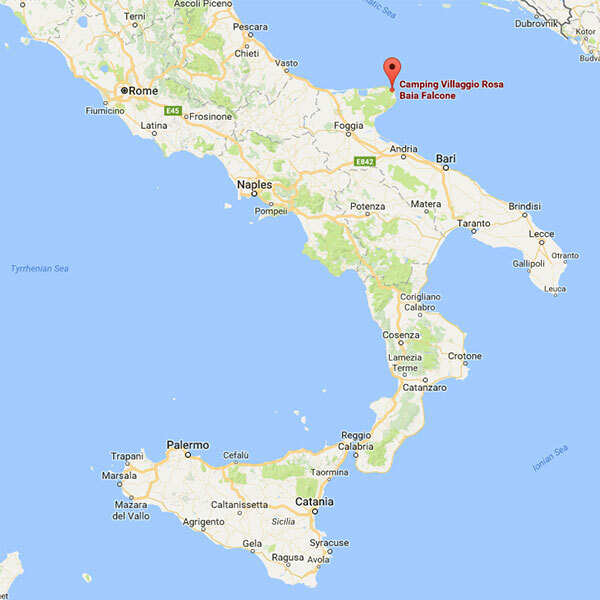 89 – Litoranea Peschici – Vieste, 4 km from Vieste. 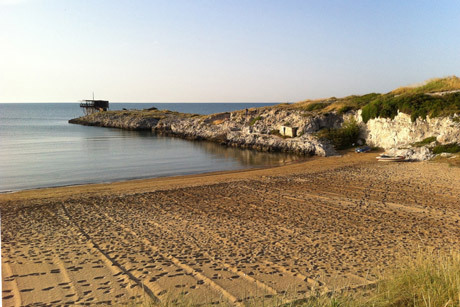 Distance from central Vieste: 4 km on the coast road – Provincial Road No. 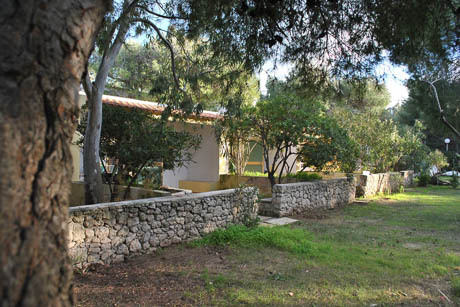 89 – direction Peschici. 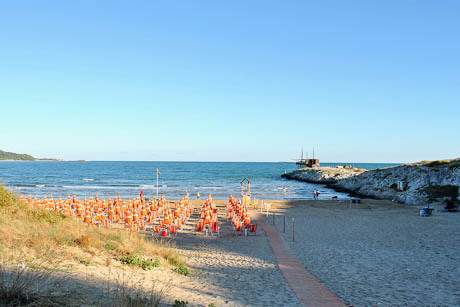 A holiday in the Gargano is an experience which can give to travelers and tourists a myriad of landscapes and sensations. 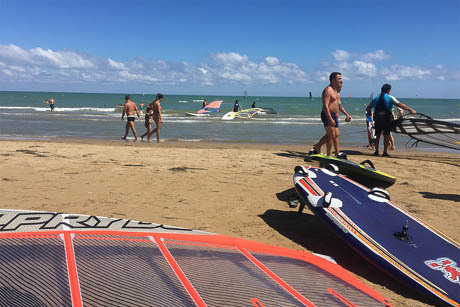 In addition to its 140 km of coastline, perfect for sea enthusiasts and water sports buffs, the Spur of Italy hides real gems to be discovered, no matter if you come for nature, history or Italian culture. 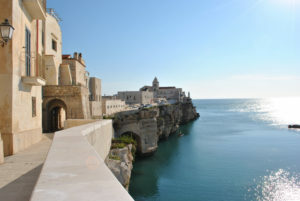 Vieste takes its name from Vesta, the goddess of the hearth. It was a Greek colony and afterwards a Roman municipality. Historians identify it with the ancient Apeneste. Vieste has known several dominations: Byzantine, Lombard and Norman. In 1239 the city suffered a violent plundering by Venetians during which the cathedral was destroyed.It was afterwards rebuilt by Frederick II of Svevia, along with much of the city and the important Castello Svevo, which still dominates the medieval area. In 1554 the pirate Dragut Rais made the most terrible amongst the numerous Saracens assaults: about 5,000 Viestani were beheaded near the cathedral on a rock (which still exists) that is since called “chianca amara”, i.e. bitter stone. 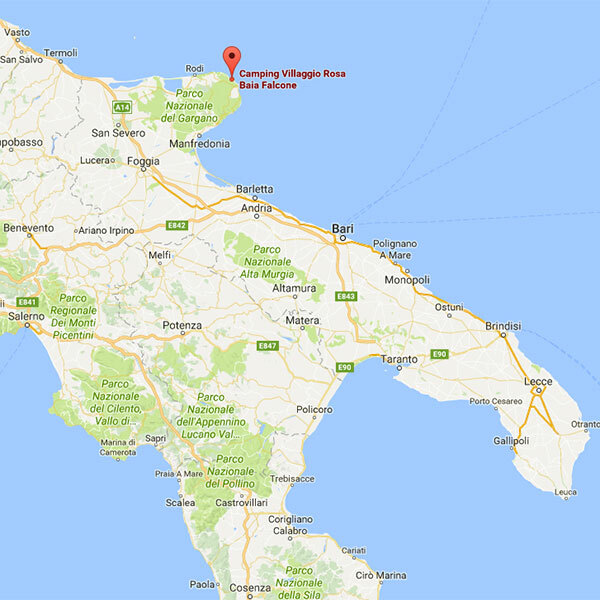 The population of Vieste celebrates the Virgin Mary the 9th of May, with a procession of worshippers to the church of Santa Maria di Merino, seven kilometers away from Vieste. 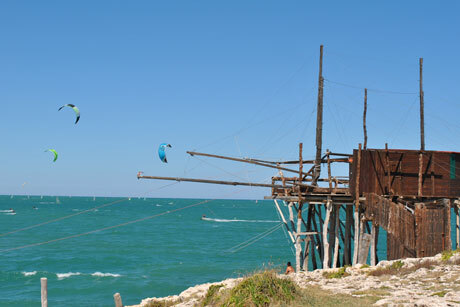 During your holiday in Vieste you will have the opportunity to organize excursions of all kinds. 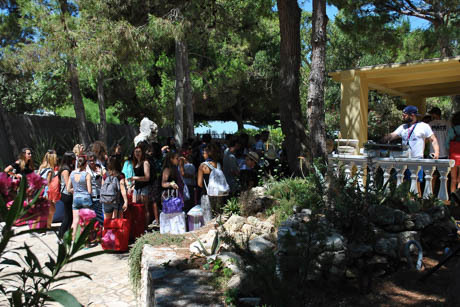 The reception staff is at guests’ disposal to provide information on tours and activities. From our beach there are daily boats for a tour of the sea caves. 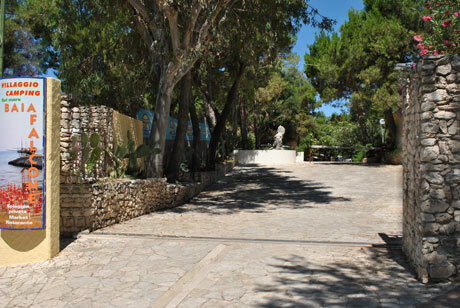 You will have the ability to purchase tickets for the Tremiti Islands and other excursions. 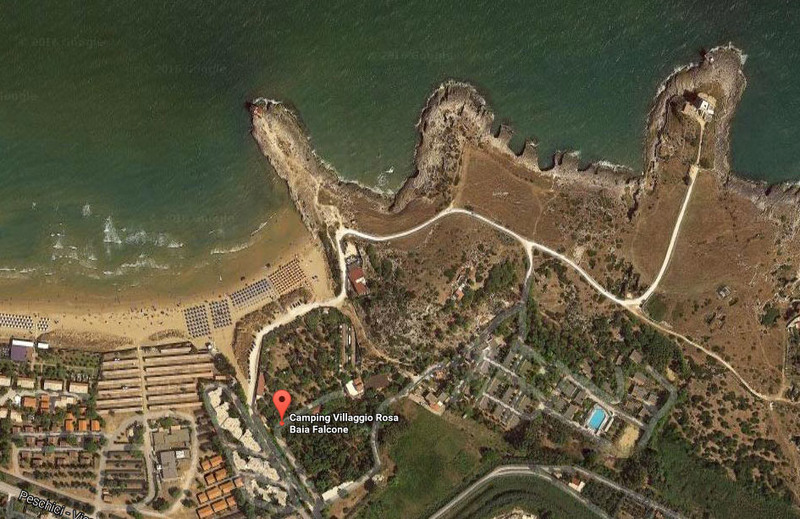 Every day, right from our bay, there are excursions to the sea caves. 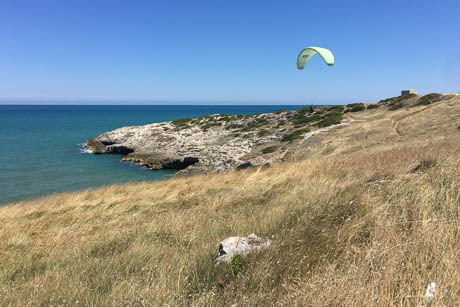 Skirt around the South coast to Mattinata discovering lush nature that characterises the coast and the crystal waters of our sea. Countless recesses enchant adults and childres, the same that fishermen had fun to baptise with curious names: Screwed cave, the Smuggler cave, the Two Eyes, Dream cave, Emerald cave and many more. 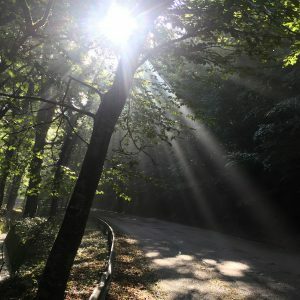 The tour at the Foresta Umbra “Shady forest”, in the heart of the National Park of Gargano, is a must-see for nature lovers. In the ancient forest, which preserves almost entirely its vegetative mantle, you can choose from 14 routes, all easily walkable. 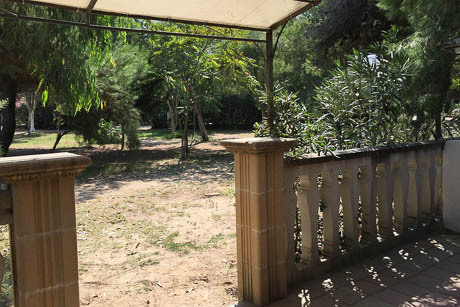 Inside the park you can visit the Nature Museum with a section dedicated to the local flora, an archaeological section and a fauna section detailing more than 200 species, including the local deers. 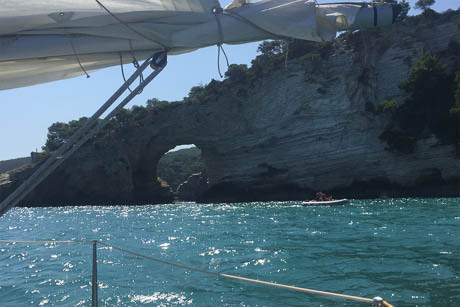 With daily departures from Vieste Marina, you can reach the Tremiti Islands and enjoy a corner of the Adriatic that is unparalleled. 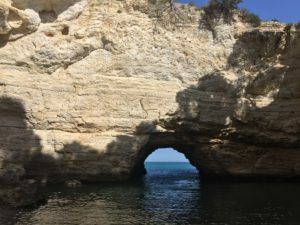 After a trip to the sea caves and a visit to the Island of San Domino, where you can admire the Elephant rock and “i pagliai” (pyramid-shaped monoliths) the tour continues on the Island of St. Nicholas, considered an open air museum because of the many traces of an ancient and glorious past. 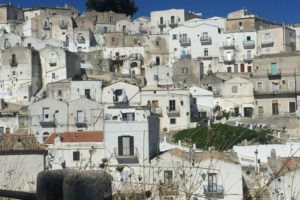 The beautiful town of Monte Sant’Angelo is located about 60km from Vieste; 800 meters above sea level it overlooks the entire Gargano offering breathtaking views. 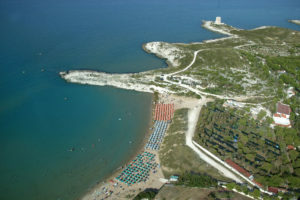 It is now home to the Gargano National Park and an UNESCO World Heritage Site. The Sanctuary of San Michele Arcangelo, built between the fifth and sixth century, is an architectural gem, a destination for pilgrims from all over the world. Of particular interest are the bronze doors of the eleventh century, the statue of the Angel alabaster attributed to Sansovino, the episcopal chair, the silver cross of Frederick II. Perched into a valley, 600 meters high, it’s a pilgrimage city for the presence of the Convento where Padre Pio da Petralcina lived and received the holy stigmata. 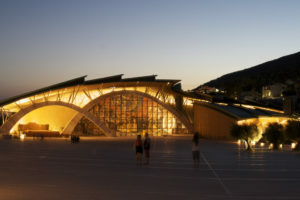 Among the most interesting works, there is the New Church of Padre Pio built on a design of the great architect Renzo Piano. 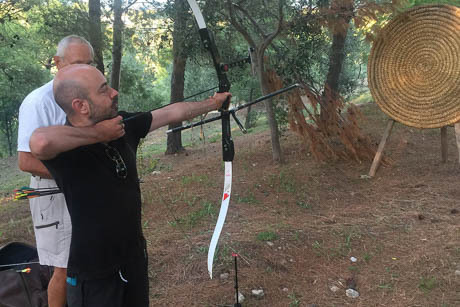 You will be able to practice many different sports, inside and outside of the Village. 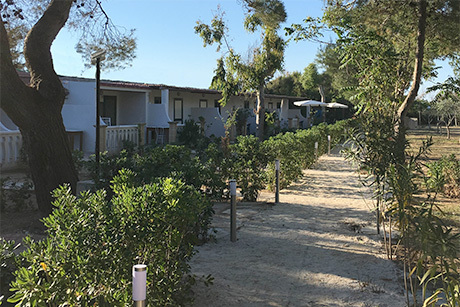 Nature lovers will enjoy all kind of watersports such as snorkelling, scuba diving, fishing, kitesurfing and windsurfing, but they will also be able to immerse themselves into the wonderful Mediterranean vegetation on horseback, by foot or by bike. The desk of the Village provides information to customers and helps them making reservations for daily trips. Send us your best photos of baiafalcone! The best ones will be published on our site. You can have a look at our choice of bungalows, or if you want to have the best prices available for your tailored needs, you can click below and tell us.